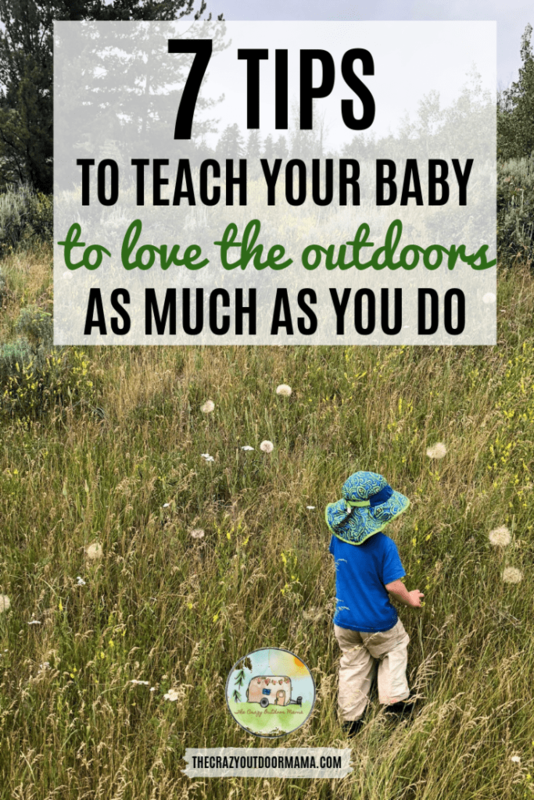 If you loved hiking or camping before baby, it’s so important to teach your baby to love it too so that you can get back outdoors! 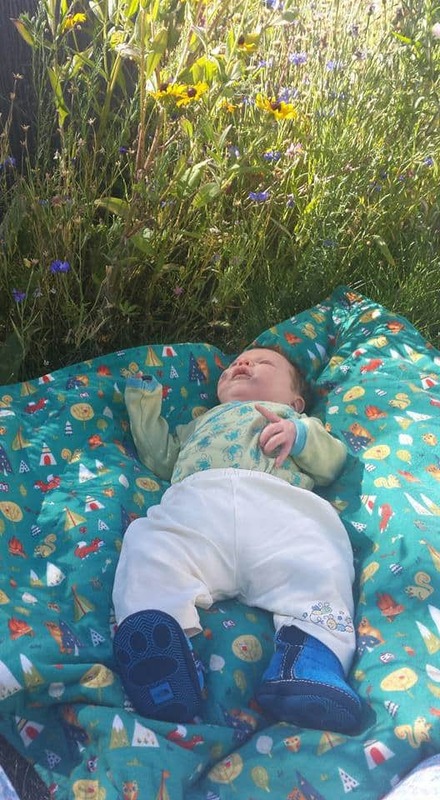 You’ve probably heard the saying “Start them young” in regards to all kinds of stuff – and I think when it comes to creating an outdoor loving kid, it definitely appliles! All of my kids have been carried in a soft carrier from the time they were born, and then as soon as possible, moved to a hard frame style pack. They’ve gone on hikes from the time they could open their eyes, and they’ve seen us interact, laugh, and enjoy the outdoors! While my son was a little bit easier to manage carrying everywhere than the twins, we still were able to get outside and make it fun. I think attitude has alot to do with it, but there are also some other things you can do to really get your kids loving adventure as much as you do! I think it’s so important to not lose that part of yourself once the baby comes – if that is what you loved before baby, you need to get back to it as soon as possible so that you don’t feel like you are being deprived. 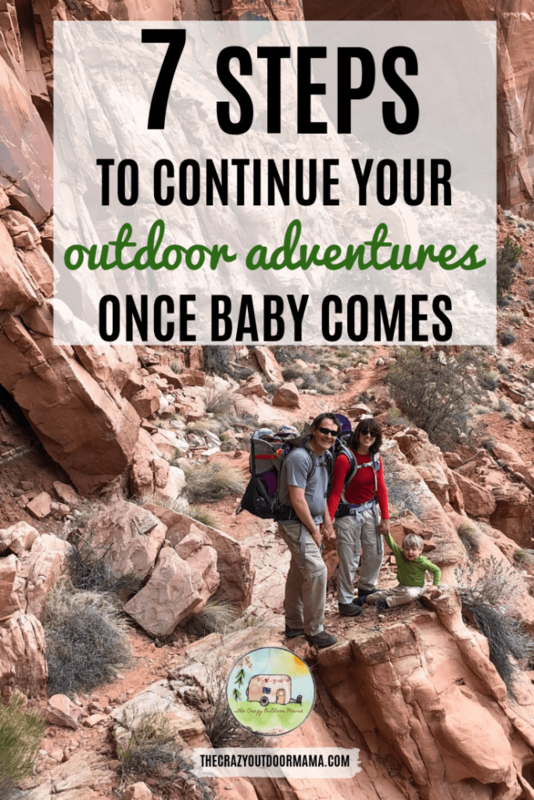 Here are some of my top tips to continue your hiking or camping adventures once the kids come! P.S. 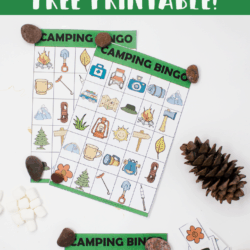 If you’re camping with a little one, you may also be interested in these tips! What to pack when camping with your baby, and some cute kid camping highchairs to think about too! 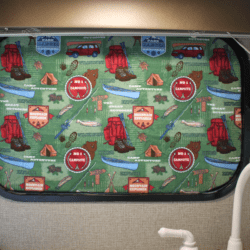 Learn how to get your baby to actually SLEEP while camping in an RV, as well as your toddler! How to pick the perfect campground that is safe and fun by avoiding these things! I also wanted to let you know that I am an Amazon Affiliate, and will get a small commission (at no cost to you) should you purchase anything through my links. Thank you! Each of my kids started in a soft carrier (such as an Ergo) and moved up to a hard frame backpack (such as the Osprey Poco Pack) as soon as their heads could support themselves. For us, that was around 2 months, but we did put a head support cushion in their backpack just to be safe! When you start your babies in your carrier of choice early, they learn that good things happen in it. They learn that they get to be close to you, and as they get older, they get to see some pretty cool stuff! The ability of our kids to take good naps in the backpack has really enabled us to go on some awesome hikes. 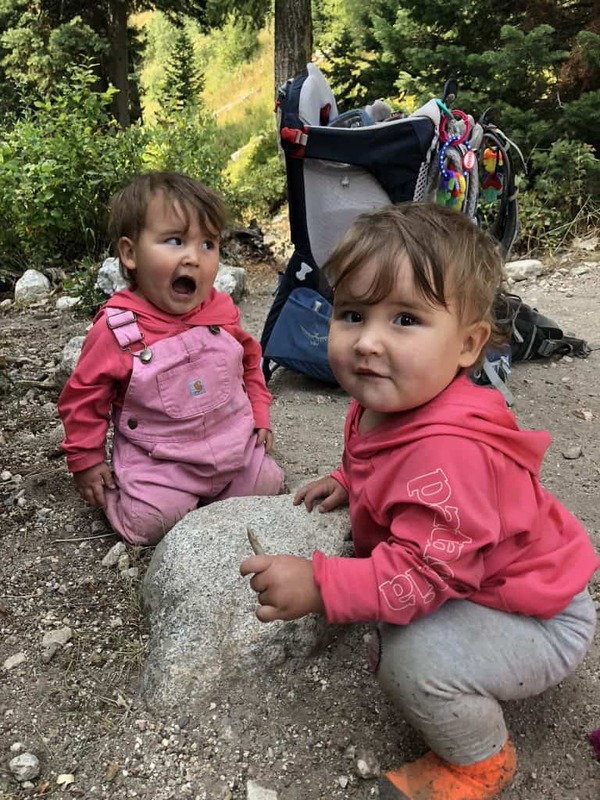 I’m talking about 10 mile, 5,000 feet elevation gain hikes that our twins had a blast on! Being bound to a nap schedule makes adventuring a little tough (not knocking you if you have one of course – sleep is important!) so carrying your baby everywhere in their pack will let them also learn how to sleep in it. No more worrying about going home at a certain time, or fussy babies! As they get older, clip toys to your backpack so in case they do get bored, they have something to play with! 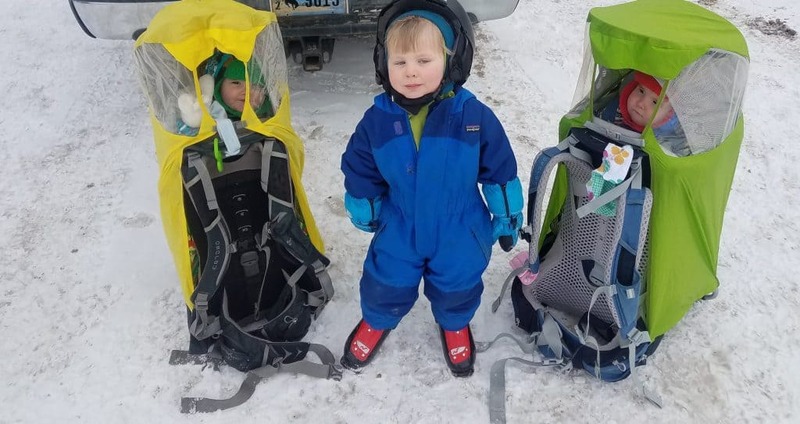 My twin babies in Osprey Kid Backpacks while we hit the slopes one day to work on my sons skiing. These packs are literally the BEST investment you can make as an outdoor enthusiast mom or dad! This may seem obvious, but alot of people tend to wait till their baby is much older to let them just lay on their back outside, or go on a walk in the carrier. 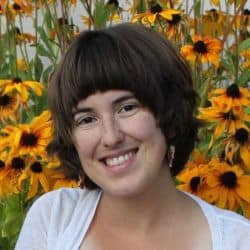 There are TONS of benefits of taking your newborn outside (check out this article that cites the many scientific studies regarding this), not to mention, it’s good for you too! 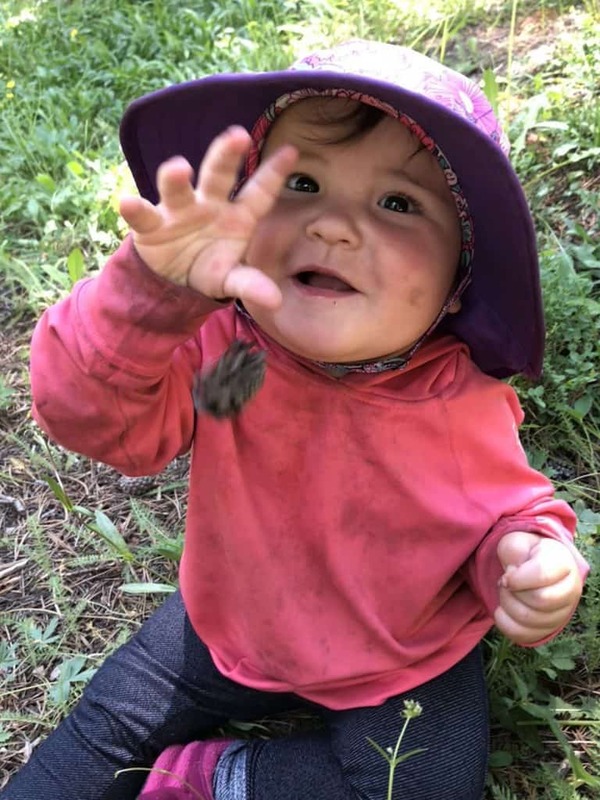 Going outside early and often lets your baby get used to the outdoors, as well as engage in all the sensory exploration there is to be had. Even before they can touch things, babies can feel the wind, sunshine, and smell! It’s quite an experience, and is great for development! Just watching the way the sun comes through the leaves, and feeling the wind on their cheek can do alot for sensory exploration at a super young age! I think my son was 1 or 2 months here, not sure. Every time I go outside, I try to narrate what’s going on. Not only is this good for language development, but it helps them notice the little things that make the outdoors so exciting! For example, when my babies were unable to sit yet, I would give them different textures of plants (obviously nothing toxic/pokey) and let them feel it. I’d show them the crunchy noises it made, and exaggerate smelling it so that they would do the same. Once babies get older, say 6-8 months (sitting age) they’ll likely do pretty well entertaining themselves outside! These girls are pretty easy to camp with – set them outside, and they can find something to play with! It really helps my husband and I get back to our outdoor lifestyle when they are happy! Make going outside all about fun! Whether you’re going camping, hiking, or just playing in the front yard, your tone of voice and attitude can really do alot! I sometimes need to remind myself of this as the kids want to play outside when it’s 50 degrees out… which really isn’t that bad. I just feel lazy and don’t want to get everyone dressed, when really I should maintain positivity and excitement! Doing crafts outside, reading books about camping or the event you plan on doing, and just pumping them up before the event itself all helps! On bigger hikes, we make sure to account for play time! We always want hiking and outdoor time to be fun, so despite wanting to just get there, we make sure to let everyone out! Once babies hit around a year / walking age, don’t hover too much! The best part about being outside that all my kids have realized is that there are a whole lot less NOs! Want to pull up the grass? Sure! Want to snap the stick in half, and then hit a tree with it? Go ahead! Want to climb up a tree? Have fun! While inside they aren’t allowed to do things like hit, throw, or climb much (besides designated climbing toys) outside there are hardly any limits! It might be scary watching your little one trying to climb a tree, or cutting grass down with a sharp stick, but they are learning tons of skills about problem-solving, awareness, and insane motor skills! That’s not to say you can’t help once or twice to show them how it’s done – but it’s amazing to see them figure things out! Here are some other benefits of playing outside! It’s easy to keep kids excited about going outside when they know they can explore freely! My three year old is just coming into this stage, so I can only write from limited experience. However, he has started to ask questions about things he sees “How come I can’t throw trash in the water?” “Why is there trash on the ground?” and he’s also started observing way more than I ever thought… so it’s important to model this too. We camp fairly often, and if you have the opportunity, immersion really is a good way to teach about responsibility outdoors. Simple things include talking about recycling, picking up after ourselves, and the importance of putting out fires. This is the hard part.. knowing you could go ALOT further if you just kept them in the pack, but now that they are walking, it’s important to let them try! Now I’m not going to lie – on that big hike I was talking about earlier, we did put our three year old in a backpack. But to his credit, he did alot for his little legs! 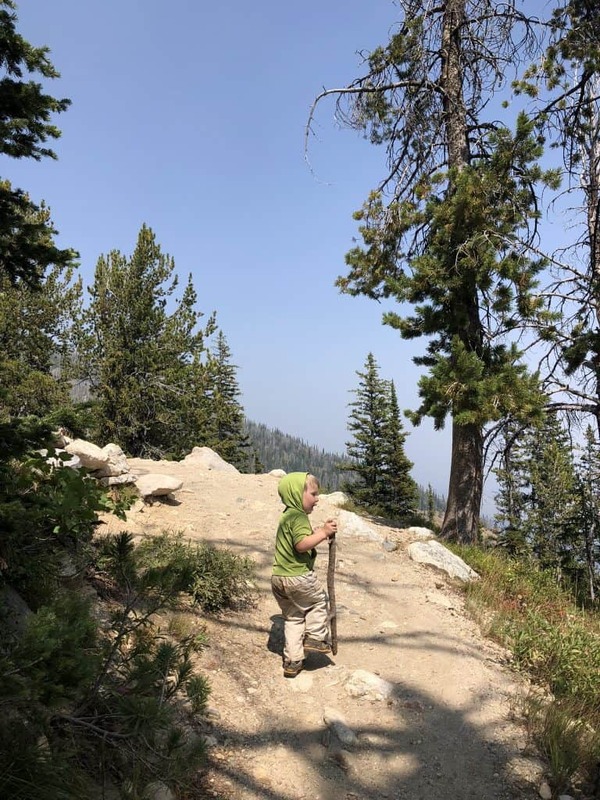 And for us, while it was important to push him, we did not want to push him past his limit and make him feel like hiking and going outdoors was something unpleasant or stressful. We did what we could, however when it was obvious he was done, we let him have a break. I’ll update you on how this goes with our twins – it’s a bit easier to talk all this up with one! When it comes to toddlers / preschoolers and hiking, its all about making it fun! Having a hiking stick, playing I spy along the way, and telling stories are just some of the ways to keep little ones occupied! When your kids love the outdoors as much as you, it makes continuing your outdoor lifestyle that much easier! For my husband and I, we knew it was important to teach the kids to like being outside. The number of things we wanted to do and hike were way more than we could ever expect our parents to cover or to pay someone to watch our kids for. Besides, we love our kiddos and wanted to take them with us! Don’t get discouraged if you’re late in the game – I also know of kids who have just gotten into a backpack, and are slowly able to go on bigger and bigger hikes as they get used to it! 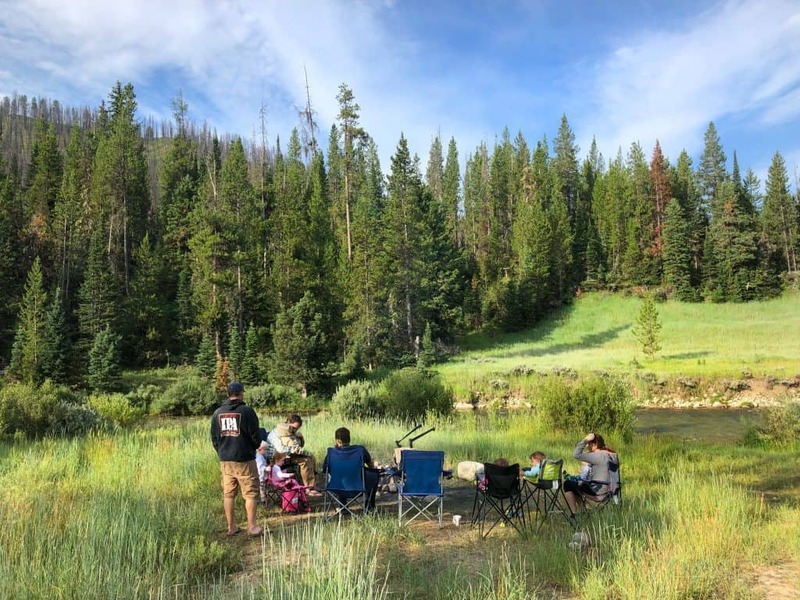 One of the best ways to really teach an appreciation of the outdoors is to find friends who do – I am thankful to know plenty of people who also love to camp and hike with their kids! Great article, lots of helpful information to take the little ones outside early so they can enjoy the great outdoors! Thanks! It’s so important to start as soon as possible!